If you are planning a long-distance move in Colorado there are a number of moving tips that you can follow from our Denver professional movers. We are a full service moving company and as a result of our years of experience in the industry we can offer a wide array of services that can not only help you work under tight deadlines but secure your valuables at each stage of the move. Here are some top moving tips that you can take from our experts so that we can serve you better and offer you a better quality moving process. Consider professional packing: Our professional packing services can help to secure all of your items for long-distance moves as well as extended storage. 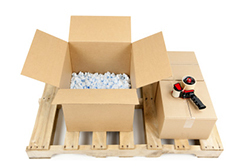 We can bring all of our own professional packing materials that can protect all of your items for the future. If you are going to be packing all of your items yourself you should also consider buying professional packing supplies like bubblewrap, new boxes and more. Remember that our company will utilize moving quills to protect your items but you’re packing materials should still be of high quality to improve safety. Throw out what you can: by getting rid of a large number of items you can decrease the overall cost of your move. Reducing the size of your move can not only help to create a more efficient moving process but it can ensure that you can make the most of the new space you are moving into. Prepare emotionally: If you are moving to Colorado our expert movers can help get you set up with a number of different services in Denver. Your long distance moving specialists and if you’re moving to our area we will showcase the finest in customer service as well as help you with some tips on your location. Our services go far beyond traditional moving and because we are an independently owned company from Denver we are proud to showcase this area. Keep these top tips in mind for your long-distance move and remember to contact us for full service moving quotes!